The Laurel Palliative Care Foundation is able to achieve many things thanks to the support of the general public and the business community. It is very important to us that we share these milestones with you, no matter how big or small. Your money really does make a difference! The Southern Adelaide Palliative Services (SAPS) has an active research program aimed at developing better ways to deliver our quality care. The Research Unit is involved in both clinical and social research in the area of palliative care. To continue the difference that the Research Team make, we need your support. If you or someone close to you has a life-limiting illness, you know how important palliative research is for people both now, and in the future. VIDEO – Professor David Currow of Flinders University talks about the role and value of research in palliative care. Prof. Currow has undertaken research in conjunction with Southern Adelaide Palliative Services. Another amazing adventure was enjoyed by a team of 14 courageous (and very novice!) bike riders during October 2014, cycling over 280 km throughout regional Cambodia. 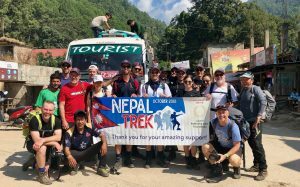 Facing steep hills, constant humidity and various accommodations along the way including a floating village, these enthusiastic trekkers thoroughly enjoyed their travels and collectively raised over $68,000. Yet again, our Pedal for Palliative Care 2016 bike trekkers took off to Sri Lanka for the experience of a lifetime. These brave adventurers raised over $65,000 towards supporting those with life-limiting illnesses in Southern Adelaide. Elephant safaris, tea plantations, mountainous train rides and extreme humidity – our incredible bikers experienced one of the most wonderful trips. 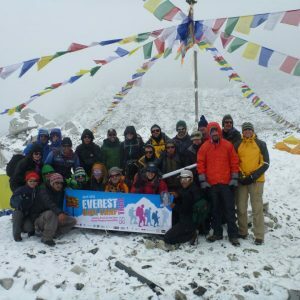 This time, 16 trekkers trained and took on Langtang National Park in the Himalayas, fundraising over $50,000. For their efforts, we are extremely grateful!